Mel has asked me for lettering or used words of mine in a few of her projects. This is sometimes explicitly collaborative—with ideas going back and forth before implementation. Sometimes, like a film director with her set designer, she requests something specific, with my abilities (and interests) in mind. On my end, I supply lettering, layouts, particular words, or wording. A brilliant artist, Mel is also a great graphic designer...she knows what she wants, and knows how to communicate what that is. One year, as a surprise for her birthday, I made a coat for her. 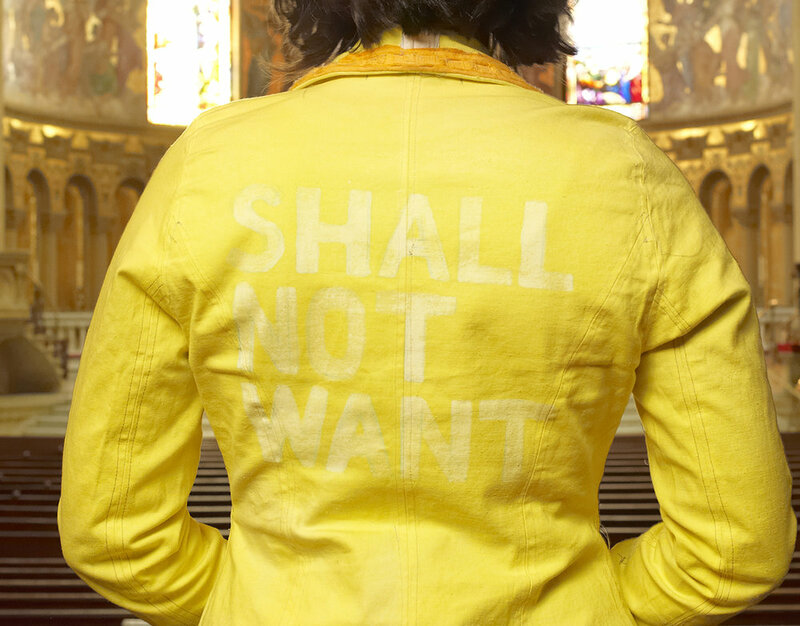 Once I'd sewed it, I dyed it as brilliant a yellow as I could, then wrote the words "SHALL NOT WANT" on the back (wrote the letters by removing dye). 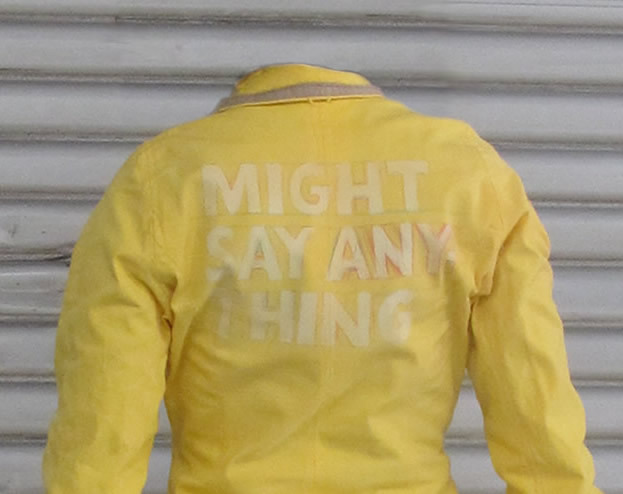 Mel has incorporated this coat into her work in photographs, performances, and rituals at mmd.ca. Seldom used companion jacket to Shall Not Want..